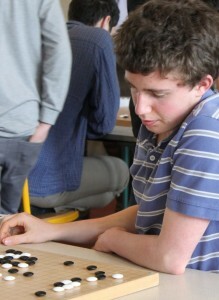 Thomas Debarre 5d (r) won the French Youth Championship, held May 8-9 in Cachan, France. 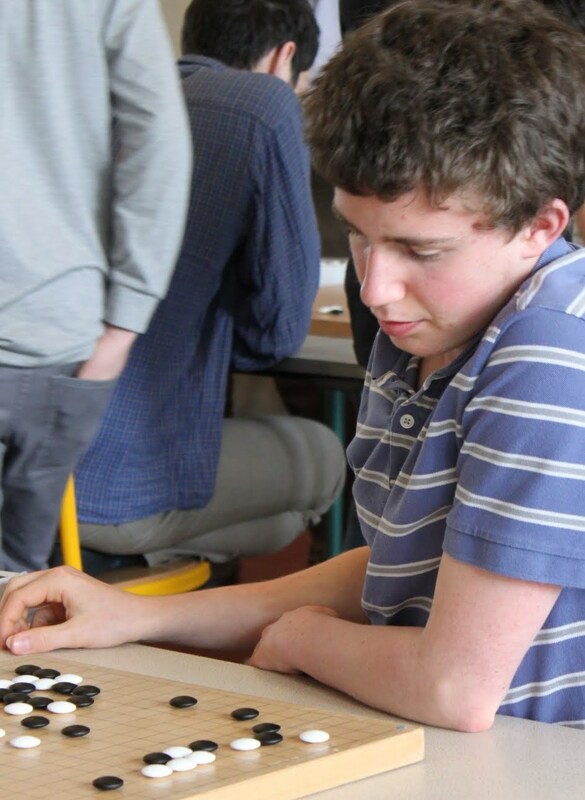 Debarre — who will represent France in this week’s World Amateur Go Championships in Hangzhou, China — edged out three other players with only one loss in the under-18 group. Debarre lost to Benjamin Dréan-Guénaïzia 4d, who lost to Paul Bivas 3d, who lost to Debarre. David Horowitz 1d came in second, while Dréan-Guénaïzia and Bivas came in third and fourth. In the under-15 group, Tanguy Le Calvé 1d took first for the second year in a row, Florian Melcer 2d was second, and Osmin Lacombe 1k finished third. For the youngest, under-12, group, Hector de Framond 14k took his first title after coming in second last year, Guillaume Ougier 20k, and Anais Khenniche 17k were second and third.